A new Better Igloos catalog has been released on Club Penguin Rewritten, filled with lots of Earth Day, garden and puffle themed furniture for Earth Day and the Puffle Party later this month! In this post, I will be sharing all the secrets/cheats inside the catalog! A blue circle represents that a secret is hidden there and the image next to it is the item which you can get by clicking there. I would like to give a huge thank you to Best King 58 for helping me with this guide! Page one contains a secret for the “Small House Plant”, which can be found by clicking the top of the exclamation mark. Page two contains three secrets: the Bird Bath, the Penguin Gnome and the Poodle Plant! Page three is now fixed, and there are various couches on it! You can also find April’s clothing catalog cheats here. 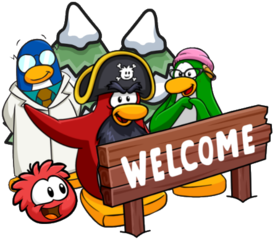 Thank you very much for reading, be sure to check back for more of the latest news and guides for Club Penguin Rewritten! After a short delay and a lot of excitement, the new clothing catalog is out on Club Penguin Rewritten, covering fashion for the Fair and more! As always, I will be sharing the secrets and cheats inside the catalog! A circle represents there is a secret there and the item next to it is what the secret is. On the first page, there are four secrets: the iconic Cow Costume, Big Bad Wool Hooves, Keep in Checks Look and Green Checkered shoes! On the second page, there are five hidden items. These are the Flower Messenger Bag, the Red Paisley Bandana, the Layered Lavender Outfit, the Green Checkered Shoes (again) and the Red Viking Helmet, which when clicked three times turns blue! The third page contains four other secrets, the Red Backpack, the Blue Backpack, the Lime Laptop and the Black Letterman Jacket! Unfortunately, there are no new items in the Penguins at Work section and the Lifeguard items are still there for everyone to buy! Update: You can now buy the Popcorn Box at the Penguins at Work section! Thanks to JuliaWildPaw for informing me of this! I hope that this guide helped and if you’re looking for the secrets in the furniture catalog, you can click here. Thank you very much for reading! There’s a new Better Igloos catalog out on Club Penguin Rewritten, containing furniture for school and for the Fall Fair! As always, I will be sharing the secrets and cheats inside the catalog. A circle represents there is a secret there and the item next to it is what the secret is! On page one, the Feed Fluffy Trashcan, Cream Soda, Hay and Teddy Bear have been hidden! There’s also some cool other Fair-themed furniture. Page two contains a lot of the back-to-school stuff! The Weathered Path, Chalkboard, Slushy Maker and HD TV have also been hidden on this page! There are three more secrets on the third and final new page. These are the Wall Rack, the Clothes Rack and the Cash Register! There’s also a new igloo out for this month called the Estate Igloo! Everyone can purchase it in the igloo catalog for 2500 coins! That’s all or the secrets in the Furniture Catalog! 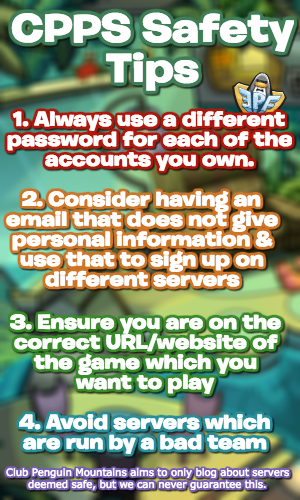 If you’re looking for some more secrets and cheats for this month’s Penguin Style, click here. I hope this guide helped, thank you very much for reading! The August 2017 Snow and Sports catalog has been released and it contains four secrets! Of course, I’ve got you covered on what they are. The first page contains two secrets which can be accessed by clicking the football on the left and the light orange part of the red team player’s head! There’s a lot of other new items so be sure to check out the catalog online but those are all the secrets in the new catalog! The Stadium is still here though and the Ice Rink will be returning in December. Thank you very much for reading, I hope that this guide helped!